Here's another set of free printable speech therapy inference cards for kids to work on to practice answering WH questions, improve oral comprehension, and develop inference making skills. These printable cards are perfect for kids with autism or hyperlexia. 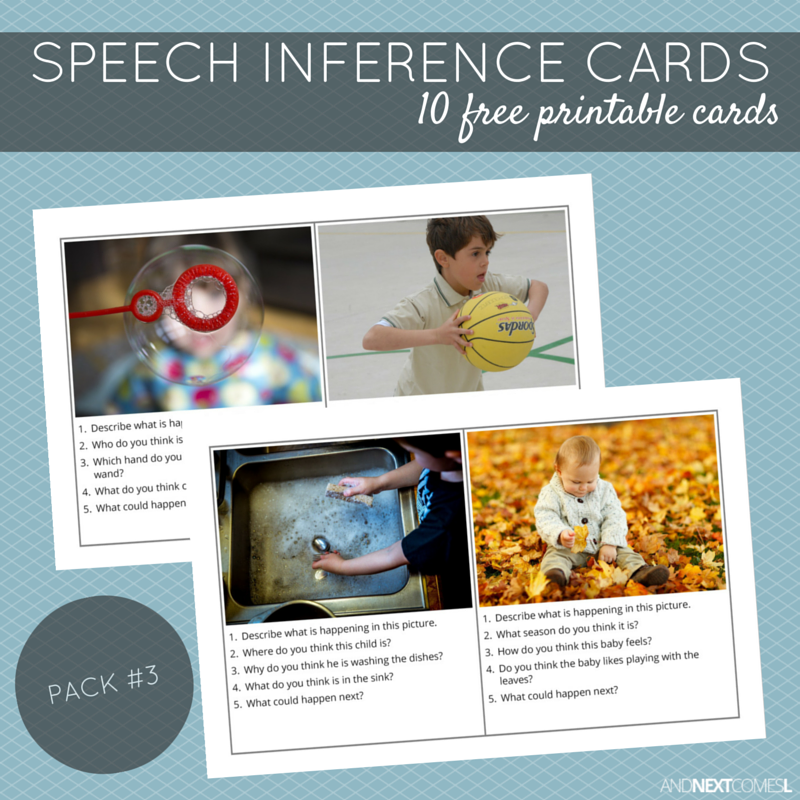 Thank you so very much for the 3 sets of inference cards. The photographs are excellent and these will be a great resource. I appreciate your generosity! You're welcome! There will be three more sets on the blog soon so be sure to come back and check those out as well.